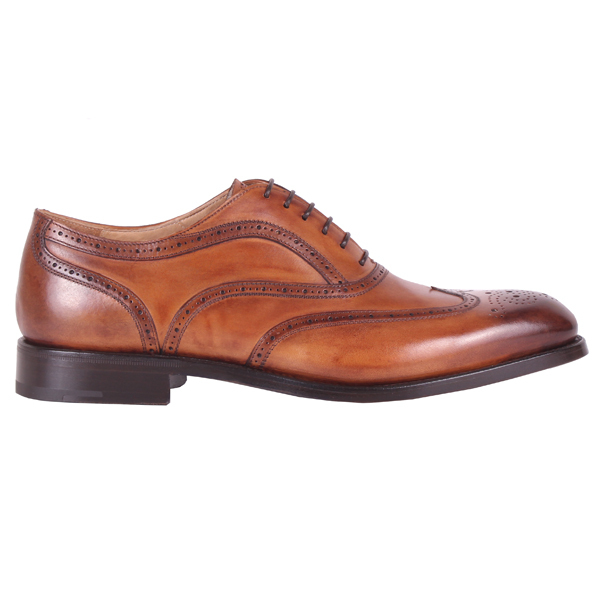 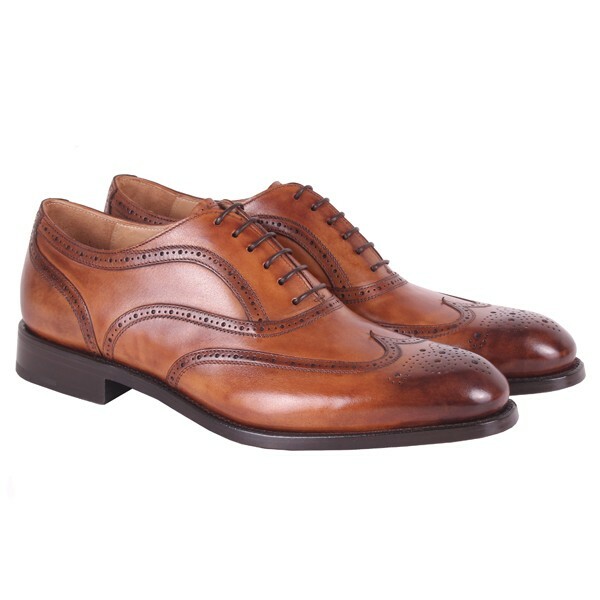 The 6-hole lace-up oxford is made of hand-coloured and hand-polished Amber colour leather. 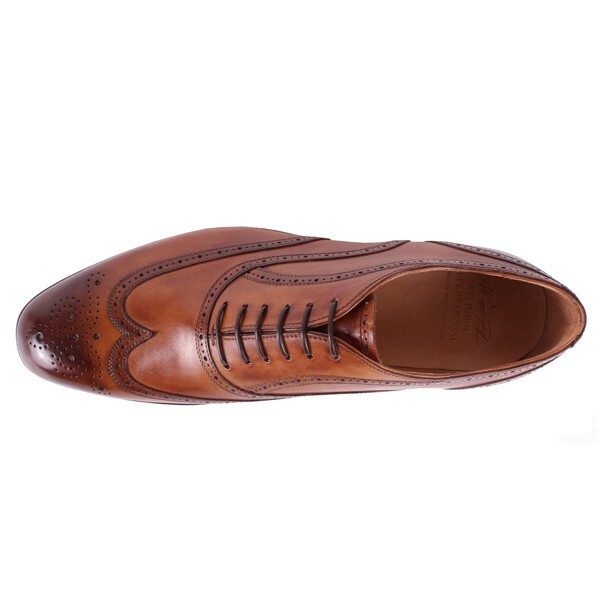 Classic design created by the craftsman, with floral punched decoration on the tip and the upper. 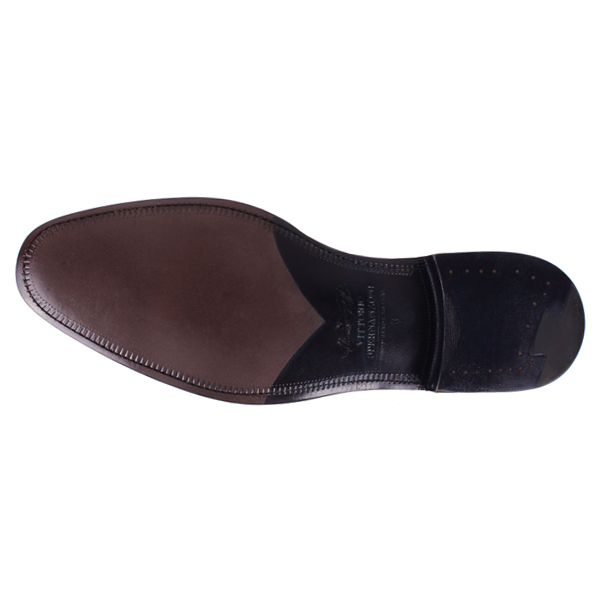 Leather sole constructed by Goodyear technique.